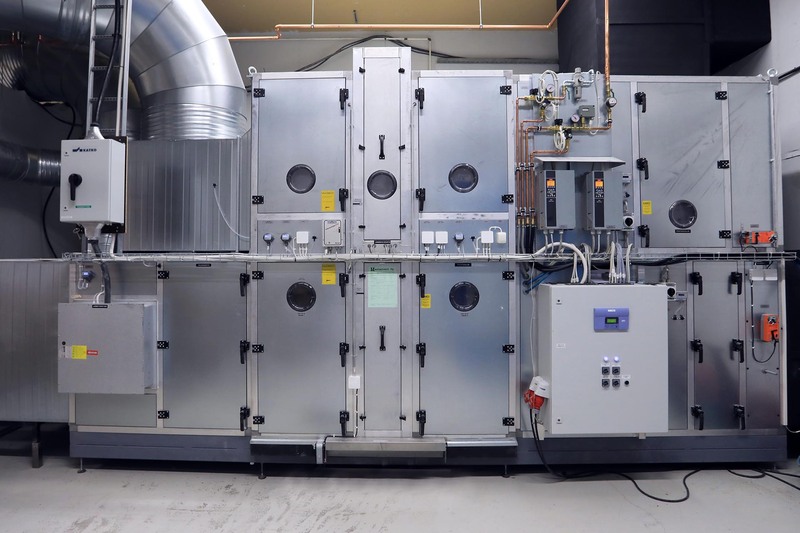 Following the installation of the new system, the quality of indoor air at the facility has improved dramatically, while energy consumption has clearly decreased. What explains the decrease in energy consumption is that the new air conditioning system not only removes impure air, but also recovers the waste heat generated by production machinery. In order to maximize total energy efficiency, the system has been set to reduce its power consumption by 70% during weekends and after work shifts. FinnProfiles received support for the investment from Business Finland. There were two reasons for this: on the one hand, the investment would offer significant improvements in energy efficiency; but on the other hand, investing in the system would also be quite a risk. Why so risky? Because the system invested in was the first of its kind in the market. In spite of all the uncertainty, FinnProfiles already has plenty of proof of the solution’s efficiency. “Between October and December only, we saw a reduction of nearly 30,000 kilowatts in our total energy consumption,” enthuses Väänänen. FinnProfiles is taking part in the voluntary energy efficiency agreement organized by Motiva. The participants aim to reduce their energy consumption by 7.5% by the year 2025.